“Looove your bag!” your friends will cry. Our BRAND NEW Betty Basket is a head turner. With pretty details and a classic shape, Betty is our most feminine design yet. 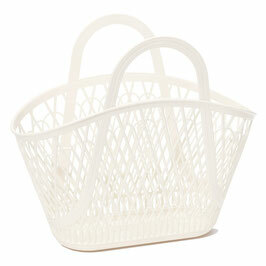 Perfect for romantic strolls, trips to the shops or even storing your latest crochet project.